Mary Kay have been super generous and I feel really bless to know them. Stay tuned till the end of this post because you might just be the few lucky winners to win Mary Kay TimeWise Miracle Travel Set worth RM185. This is a premium collection of age-fighting products that work together beautifully. It uses latest skincare science to deliver younger-looking skin. The natural aging process of the skin usually begins in our 20s. As the skin ages, its slows down the renewal rate. Skin becomes drier, less firm and less radiant. External factor such as sun exposure and environment stresses like pollution can often accelerate the skin's aging process. I personally believe that we need to start anti-aging products as early as 22 cause I'm brainwashed like that. Lols. TimeWise Cleanser combines anti-aging benefits, plus three essential skincare benefits in one product to cleanse exfoliate, and refresh - revealing younger-looking skin. TimeWise Moisturizer is formulated with an exclusive dream humectant blend, plus powerful antioxidants that guard against free radicals to help skin look and feel smooth and radiant. Together, TimeWise Day Solution Suncreen SPF25 and TimeWise Night Solution deliver exclusive Pronewal System around the clock with crucial protection during the day and boosted renewal at night. Additionally, TimeWise Night Solution comes with anti-aging peptide that helps stimulate collagen to smooth and firms the skin. I treat these solutions as a serum, thus using it before moisturizer. These products were clinically tested for skin irritancy and allergy, fragrance-free and non-comedogenic. Thus, suitable for sensitive skin. They have 2 types, one set for dry skin and another for oily skin. worth RM185 to be given away! 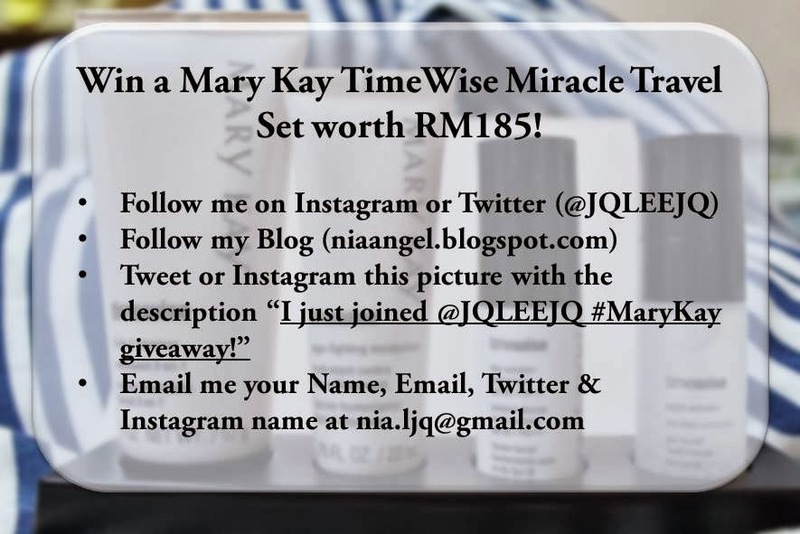 Tweet or Instagram the picture below with the description "I just joined @JQLEEJQ #MaryKay giveaway!" State in comment below or email me your Name, Email, Twitter & Instagram Name. Contest ends 21 December 2013, Saturday, 11.59pm. 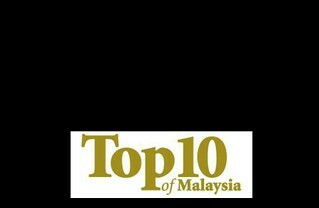 Open to people who stays in Malaysia only. *i don't own any instagram account.